This is a Bullet Bulge Lug Nut for 7/16" studs. 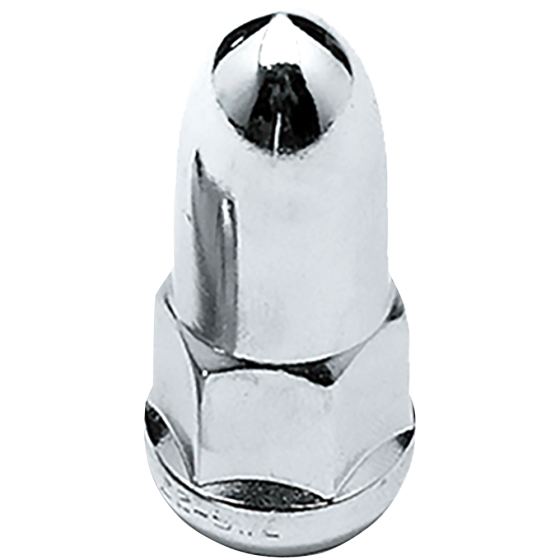 These Bullet Lug Nuts feature a common 3/4" hex drive. These Bullet lug nuts sold individually and priced Per Each. Speak to a Tire Expert for more information about your antique vehicle’s wheel and tire fitment needs. Do you have these as left handed? Sorry, these bullet lug nuts are only available in right hand thread.